The purpose of this course is to introduce the student to a common language and understanding of beads, jewelry findings and tools that they will be working with, from The Design Perspective. 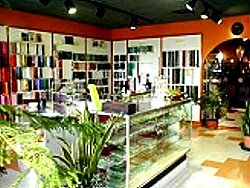 This course acquaints the student with the world of beads, and what kinds of choices the bead artist and jewelry designer need to make. 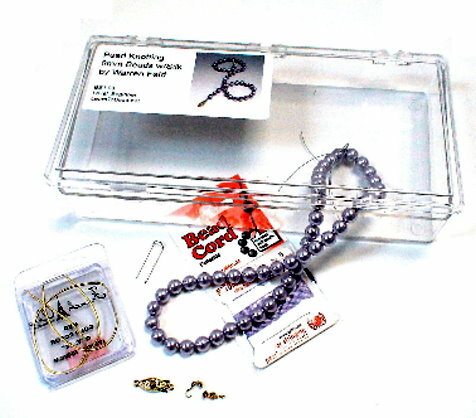 THE FIRST CLASS IN THIS SEQUENCE IS BASICS OF BEAD STRINGING AND ATTACHING CLASPS. There is an art and skill to stringing beads on cord. First, of course, is the selection of beads for a design, and the selection of the appropriate stringing material. Then is the selection of a clasp or closure, appropriate to the design and use of the piece. 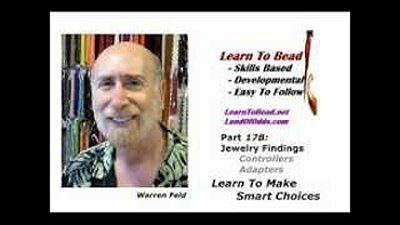 This continues with choosing the strategy for stringing beads with cord, including choices about knotting, braiding, using multiple strands and a single tie-off, multiple strands with multiple tie-offs. 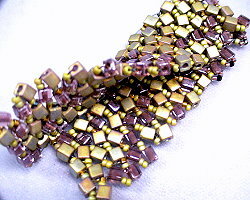 THE FIRST CLASS IN THIS SEQUENCE IS BEAD WEAVING BASICS. Stitches and beads. Create simple or elaborate forms using different techniques for connecting, interlocking and embellishing beads and beadwork. 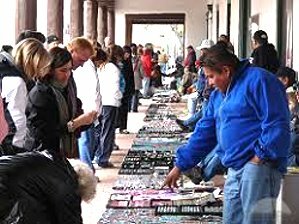 That's beadweaving, and you see the results in amulet bags, beaded sculptures, beaded vessels, necklaces, bracelets, loomwork, appliqués and more. Many projects attempt to emulate a piece of cloth or textile. Other projects are more figural or sculptural. 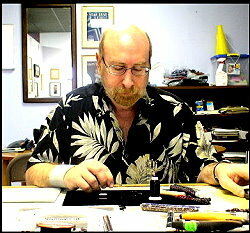 There are many different techniques of bead weaving. The most popular are peyote stitch, right angle weave, loom work, brick stitch, ndebele, square stitch, and netting. 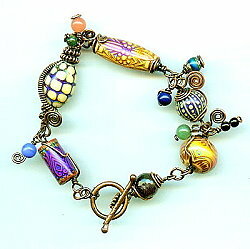 THE FIRST CLASS IN THIS SEQUENCE IS WIRE MIX N' MATCH BRACELET. Working with wires of different thickness, hardness, shape, color, materials, strength in fashioning jewelry and other objects is a very desirable skill. It takes experience with the feel of wire, how it is shaped, how it's strength can be structurally enhanced, and how it can be interlinked, interlocked and interconnected with other wire, with beads, with other materials. This "feel" will vary a bit with the type of metal. For example, brass is harder than sterling silver. The first is called Wire Work. In wire working, the artist creates shapes, using various sizes of wire. The artist can create jewelry findings, such as clasps, headpins and earwires. S/he can create chains of linked wire shapes. 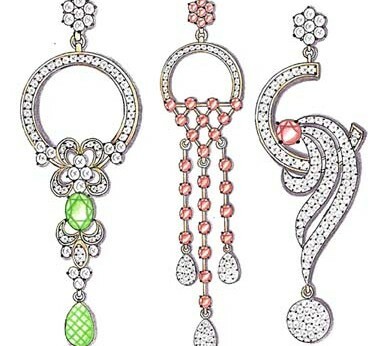 S/he can create unusual shapes to dangle from earrings, or to embellish pieces as decorative components. SHAPE is the key word here. The second is called Wire Wrap. In wire wrapping, the artist uses wire to create structural components, then assembles these into a supporting system. This is similar, though on a micro-scale, to building and engineering a bridge. 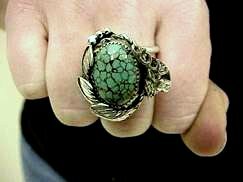 The artist might create a setting for a stone, or a piece of jewelry which depends on controlling the tensile strength of the wire in some way, to hold the stone in place, and keep it from popping out. STRUCTURE is the key word here. Silversmithing involves using metal wire and metal sheet to create objects held together in full or in part with the use of solder and a torch. 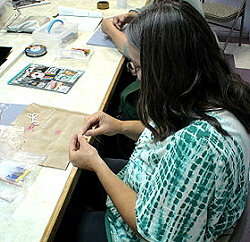 Several times during the year, we offer more intensive classes and workshops, most often in the interest area of Bead Weaving. 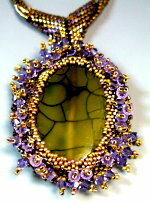 Jewelry Design is the application of basic principles of artistic expression and construction. 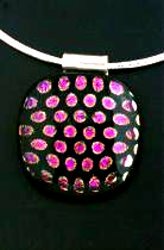 The jewelry artist applies these principles or rules when making choices about how best to manipulate the elements of the piece. Anyone can come. Limited to 12 particiants. No fees. Bring your own lunch. For each discussion seminar, PLEASE RSVP to Warren that you will be coming, so he can have sufficient materials ready. Phone (615-292-0610), or Email (warren@landofodds.com). -- Thanks. The Jewelry Design Discussion Seminars are monthly discussions of important topics related to the idea of "Good Jewelry Design". What is it? How does it come into play? How do we empower good jewelry designers? How does good jewelry design influence what materials we select or what techniques we select? What do we look for? How do we know something is well-designed, or not well-designed? 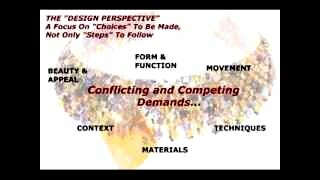 What is good "contemporary" design and how does it differ from good "traditional" design? These one hour classes are usually scheduled on a Thursday late afternoon at 5:00pm. Each Clinic focuses on mastering a specific skill. The fee is $15.00, which includes instruction, handout, and materials. Tools are provided. You do not have to bring anything except yourself. 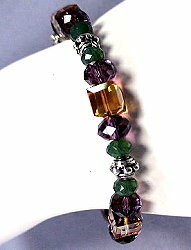 You will need to pre-register for these (615-292-0610, or online at https://landofodds.com/jewelry-clinics/ . Mini-Lesson, Jewelry Clinic, or Regular Class? Mini-Lessons differ from our 1-hour Jewelry Clinics in that they are simple introductions to a technique and a short practice time. In the Jewelry Clinics, we spend more time to master the technique, and explore and practice more things you can do with the technique. Mini-Lessons differ from our Regular 3- to 5-hour Classes in that our classes focus on teaching you about the wide range of art, design and construction choices you will need to make when implementing a technique(s), and then spend considerable time training you in implementing the technique(s) and learning those choices. We review other similar techniques and go over how to choose which technique to use when. Session 2: Fringe, Edge, Strap, Bail, Surface Embellishment in Jewelry -- Art or Not?